Close Reading Workouts: 3 Engaging Strategies that Work! Is close reading the new black? Just like the trusty little black dress or classic dark blazer that become reliable staples in a wardrobe, close reading plays an integral role in our literacy instruction with students of all ages. Students rely on close reading to dig into challenging texts in a variety of settings; from eighth graders working in teams to scout out the tone of political articles, to fourth graders pouring over informational books about hurricanes for their blog posts, to first graders preparing to meet a guide dog by reading picture books about working dogs. Our students today need to carry a tool kit of effective reading strategies that they employ as they read a wide variety of texts. Close reading is one way for students to enhance and improve their comprehension when reading more rigorous texts. 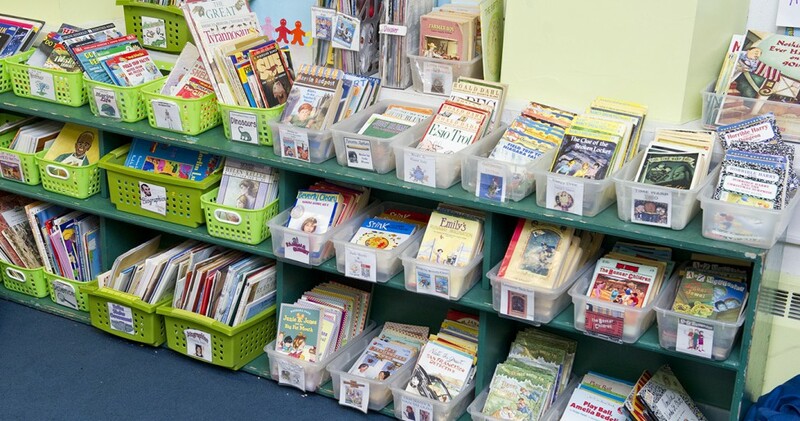 Close reading involves rereading to highlight, underline, reconsider points, ask and answer questions, consider author’s purpose and word choice, develop fluency, and discuss the text with others (Oczkus & Rasinski, 2015). Instead of skipping over challenging texts, students need to develop strategies for digging into texts on their own (Fisher & Frey, 2012). Students also should learn to stick to the text at hand rather than going off topic. Close reading keeps students focused as they make meaning and dig deeper into texts for different purposes. Also, close reading helps solve the issue of spoon feeding students or constantly providing too much teacher support. Students learn to take responsibility and to attempt to tackle challenging texts on their own. Try making your close reading lessons more interactive by encouraging students to mark the text in a variety of ways, using colored pencils, highlighters, and crayons. Also, invite students to sometimes circle, box, or annotate in margins or on sticky notes with symbols. You might even assign each table just one of the symbols to look for in the text. So for example, one table rereads the text to underline sentences that are confusing while another puts exclamation points in the margins for surprising information. Then encourage students to share their markings. Invite students to reread on their own and mark texts but to briefly discuss their findings after each rereading. Discussion promotes comprehension! Allow students to select which passage or page from the book is worthy of a close read. Use the agreed upon portion of text to conduct a series of rereadings. Be sure to ask students to justify why they wanted to reread that particular text. Reasons for close reading might include: challenging vocabulary or concepts, confusing plot twists or character actions, or even well written text that warrants rereading for deeper enjoyment. Reciprocal teaching (Palincsar & Brown, 1986), or the “Fab Four” (Oczkus, 2010) is an effective and research-based reading discussion technique that works well for a close reading routine and yields dramatic results. Research shows that students who participate in reciprocal teaching show improvement in as little as 15 days (Palincsar & Brown, 1986) and after three to six months they may grow two years in their reading levels (Hattie,2008; Rosenshine & Meister 1994). When we use reciprocal teaching as a close reading routine, comprehension improves and student reading levels soar! Reciprocal teaching is a scaffolded discussion technique that includes four critical strategies that good readers rotate through as they comprehend text– predict, question, clarify, and summarize (Oczkus, 2010). When rereading a text, these four strategies provide a practical protocol and can be discussed in any order. As students move through the strategies and reread for each, they can also mark texts by underlining, circling, and writing in margins. The students begin to use the strategies on their own as the process becomes second nature whenever they read! First the reader briefly glances over the text to make predictions and to consider the author’s purpose. Depending upon the grade level the students may read the first time through a text on their own. Then the teacher reads it aloud after they’ve attempted it. For younger students or struggling readers, the teacher reads the text first and students reread it. Next the reader reads the text through identifying challenging words or ideas. Then the reader and the teacher ask questions including text dependent ones. During the final rereading of the text the reader summarizes the text and author’s purpose. Close reading, by definition, requires that students read a text more than once and for different purposes. One purpose of repeated readings is to learn to practice reading a passage with fluency (Rasinski & Griffith, 2010). Since we are asking students to reread texts during close reading lessons, fluency instruction is a natural fit! Here are some easy ways to incorporate fluency into your close reading lessons. Fluency includes three important aspects that can be quickly highlighted during close reading instruction. The teacher reads aloud the passage fluently and can model and point out one aspect of fluency such as appropriate rate, accuracy, or prosody. Rate: Encourage reading with expression, volume and at a conversational pace. Prosody: Point out during your modeling how to group words together to sound natural or how to read with expression and emotion. Close reading lessons boost reading when you employ reciprocal teaching, engagement strategies, and fluency modeling. Common Core State Standards Initiative. 2010. Common Core State Standards for English Language Arts & Literacy in History/Social Studies, Science, and Technical Subjects. Washington, DC: National Governors Association Center for Best Practices and the Council of Chief State School Officers. Fisher, Doug, and Nancy Frey. 2012. “Close Reading in Elementary Schools.” The Reading Teacher 66(3): 179-188. Hattie, John A. 2008. Visible Learning: A Synthesis of Over 800 Meta-Analyses Relating to Achievement. Oxford, UK. Routledge. Oczkus, Lori D. 2010. Reciprocal Teaching at Work: Powerful Strategies and Lessons for Improving Reading Comprehension. 2nd Edition. Newark, DE: International Reading Association. Oczkus, Lori D. and Timothy V. Rasinski. 2015. Close Reading with Paired Texts. Series K-5. Huntington Beach, CA: Shell Education. Palincsar, Annemarie Sullivan, and Ann L. Brown. 1986. “Interactive Teaching to Promote Independent Learning from Text.” The Reading Teacher 39 (8): 771-777. Rasinski, Timothy V. 2010. and Lorraine Griffith. 2010. Building Fluency Through Practice and Performance. Huntington Beach, CA: Shell Education. Rosenshine, Barak, and Carla Meister. 1994. “Reciprocal Teaching: A Review of the Research.” Review of Educational Research 64 (4): 479-530.